Dark Energy and Dark Matter have been huge buzz words in the astronomical circles but now another dark idea is trying to gain traction. Dark Flow is an idea that is now backed by a three and five year study of the Wilkinson Microwave Anisotropy Probe (WMAP) survey of 1,000 galaxy clusters over a distance of 2.5 billion light years. Apparently, a section of the universe is moving with a much higher velocity than the rest of the universe. It is thought that this flow is being caused by the collision of our universe with a completely different universe that is not a product of the same Big Bang that caused ours. This collision is thought responsible for a 600-1,000 kilometer per second velocity difference that isn’t seen in other parts of the universe and since the cause is not proven, it is referred to as “Dark”. While this theory is not recognized because it simply hasn’t been studied enough to either confirm or deny its existence, future missions are going to look into this interesting phenomenon starting with the ESA Planck mission which should yield data in the first quarter of 2013. 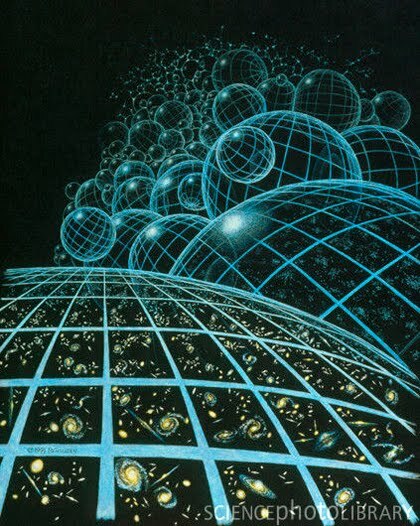 Numerous physics theories point to the existence of a “Multiverse”, or area which contains many or infinite universes which could be like our own or completely different. Some of these universes could have formed in different “bubbles” which have the ability to interact with our own. 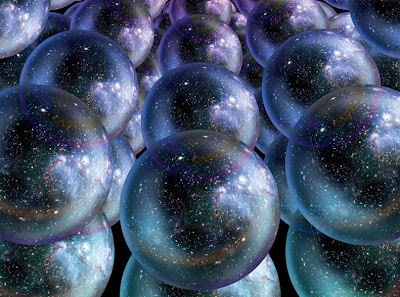 It may also be possible that a universe could slowly break off from our own, forming another bubble universe from material that was part of our own universe. 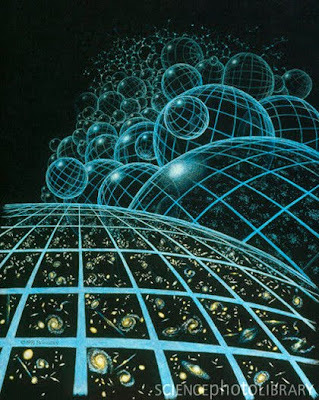 Most of these theories are almost impossible to test and even when tests are found to prove the existence of these universes, it is difficult to get a large percentage of scientists to agree without very precise data from many varying sources. The main reason for the need for more data is because this really is cutting edge science where there are many theories that do not have enough evidence to prove their theory beyond a shadow of a doubt. The fact that a large amount of space and matter is rushing toward some particular part of space does show that there is something different about that part of space. At one point, scientists thought that there was a large galaxy cluster pulling large amounts of mass toward that area, except that newer analysis of that area of space seem to show that there is less than a tenth of the amount of mass needed for this effect to happen. Sometimes a imaginable visual image can help explain what may be happening. If you imagine a universe as a soap bubble then you can imagine another soap bubble breaking off the original, quickly taking with it some of the air that was in the original soap bubble. 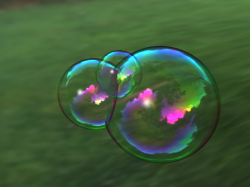 Perhaps two soap bubbles collided that had different sizes or were filled with different gases, before they merged air from one might rush into the other, mix and either eventually join or split up again. We really don’t know how universes colliding might react but this may be the first observable clues that we have found. Perhaps it is you that I am hearing think “How could this possibly affect me in my lifetime?” Most likely this type of discovery will not actually affect us in our lifetimes, yet there is a possibility that this way of looking at the Multiverse could eventually change the way that we think about everything. Finding out how multiple universes interact with each other may lead to ways that we can directly benefit from other universes. Travel through space, time, and dimensions of possibility may be attained from this type of discovery. This would also go a long way to help explain what existed before the Big Bang and what exists in universes other than our own. We have discovered much about our own universe, from the first 10^-35 seconds after the Big Bang to 100 Trillion years in the future when stars will no longer form. Perhaps one of the few ways we can learn about our place in our universe is to see how it fits in with all of the rest of the universes. Dark Flow may be the first step of actually proving that other universes exist. I enjoyed reading the article and found the subject matter interesting. 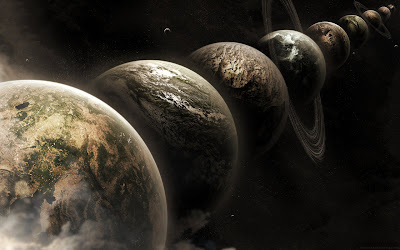 The existence of many different universes that may be able to interact with each other is chilling.